Our Winter Treats basket is guaranteed to keep you cozy and warm this hoiday season! 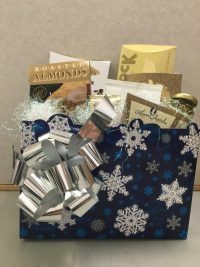 Loaded with Roasted Almonds, creamy Fudge, Spanish Olives, Seasoned pretzels, delicious Northwoods Cheese, Caffe Comfort Coffee, Foley’s ChocoMints, Dark Chocolate Sea Salt Snappers and Portlock Smoked Salmon. 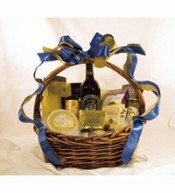 Categories: Country - United States, Region - California, Gift baskets. 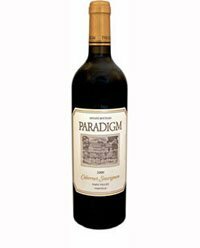 Made by famed winemaker, Heidi Barrett, the 2015 Paradigm Merlot is well suited to the Oakville district of Napa Valley. This 2015 is a deep ruby color with aromas of red and black plums, cherry, dried herbs, and light toasty oak. Flavors match the aromas. A mouth-filling, seamless silky wine across the palate. 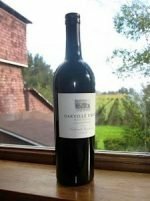 Clean yet layered with light dusty tannins. Wonderful mid-palate texture with good length. Somewhat more concentration, typical of the 2015 vintage. Should age well for 10-15 years or more. Long Meadow Ranch employs an integrated organic farming system using simple, sustainable methods. Each part of the Ranch contributes to the health of the whole. Vineyards and wine making, olive orchards and olive oil making, cattle and horse breeding all work together in complementary fashion, as do the egg-laying poultry flock and the organic vegetable gardens. All crops are certified organic. The 2018 Sauvignon Blanc was harvested in two different periods – one at lower sugars and one at higher sugars. All of the grapes were ripe, but each pick offered different nuances. We loved all the separate wine lots and enjoyed the synergy of blending. 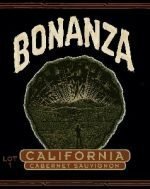 This wine has classic LMR varietal freshness and charm; it’s difficult to believe this wine was grown in Cabernet country. Its fruits range from citrus to kiwi to just-ripe peach. The salty and mineral characteristics which grow out of our terroir and cold fermentations have become signature and reliable. The finish is crisp, full-of-esters and balanced.